Professional, robust, reliable. 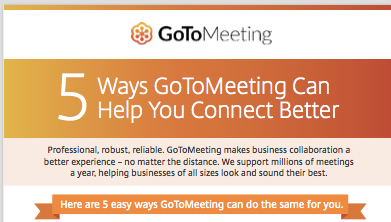 GoToMeeting makes business collaboration a better experience – no matter the distance. We support millions of meetings a year, helping businesses of all sizes look and sound their best. To download the free whitepaper, please fill the form below. What is your role in the buying process for online meeting or video conference software?